I will have a sign up for some more Digital Scrapbook classes four different times this year. 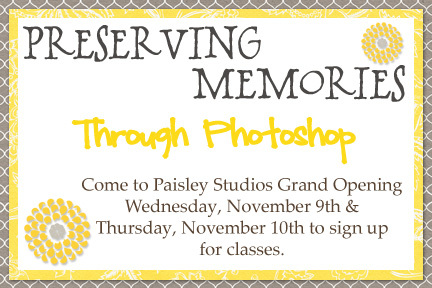 If you aren't able to make it to Paisley Studio's Grand Opening, you can comment below which time you are interested in. Let me know whether you want to do a class in this November, January, April, or July. Also, let me know if you are interested in any other classes concerning your Photoshop or Photoshop Elements software. 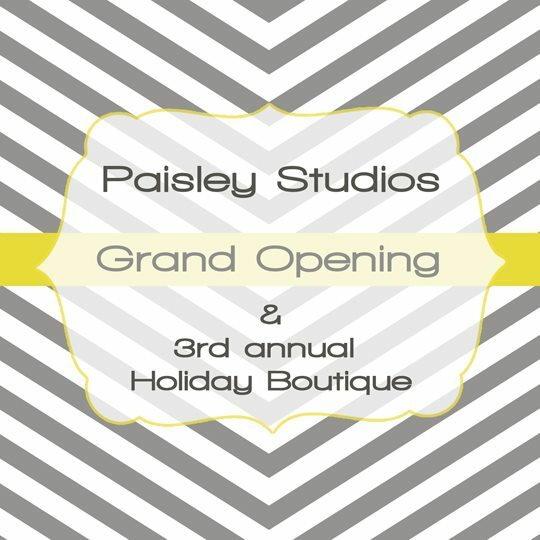 Be sure to check out the other vendors that will be at Paisley Studio's Grand Opening. Click on their flyer to check out their blog. Come check it out from 2:00 p.m. to 7:00 p.m. November 9th. The ribbon cutting is at noon on November 10th and the event will continue until 7:00 p.m. that day.